Shu Uemura USA is providing an exclusive coupon code for IcanGWP readers to get free gift with purchase and 25% off all order! Don’t forget to check out their La Maison du Chocolat Holiday 2018 collection premium brush coffret mini brush set $69 — sold out the first day and recently restocked! Shu Uemura (NEW) GIFT 1: Get 5-pc winter skin set on orders $75 or more + free shipping. Use the code SHUGWP at checkout (before discount). Ends 11/11. This post may contain affiliate links. Read the full disclosure. REN SKINCARE USA is offering IcanGWP readers an exclusive early access to their beauty event! REN (NEW)(HOT) REN Clean Skincare Friends & Family Sale: Enjoy 20% off sitewide with code FRIENDSFAM. Offer valid through Monday, October 22nd at 11:59 PM PST. This post may contain affiliate links. Read the full disclosure. I’m thrilled to share a special summer offer for my readers. Space NK US has brought back their summer savings event and IcanGWP readers get to save more than anyone else! Use code ICANGWP at checkout to save $75 off orders of $350 or more. Find out more Space NK gift with purchase and more below! Space NK US (NEW) GIFT 1: Use IcanGWP summer exclusive coupon: ICANGWP to receive $75 off your order when you spend $350, ends 7/15. This post may contain affiliate links. Read the full disclosure. If you haven’t own it yet. Space NK US is running their annual Space NK Spring Beauty Benefits Gift Event 2018. With any $165 purchase, you will receive a complementary 14 samples and a cosmetic bag from Space.NK.Apothecary simply use promo code ESSENTIAL18. Starting now through Thursday, May 3rd, 2018, IcanGWP will be randomly selecting an IcanGWP reader to win a Space NK Essential Gift Bag – no purchase necessary. One lucky winner with a valid email address, valid postal address (not a PO Box) and follows the rules will receive a notification email to get this gift (not includes the step-up gift with $195 purchase)! Sponsored/This post may contain affiliate links. Read the full disclosure. 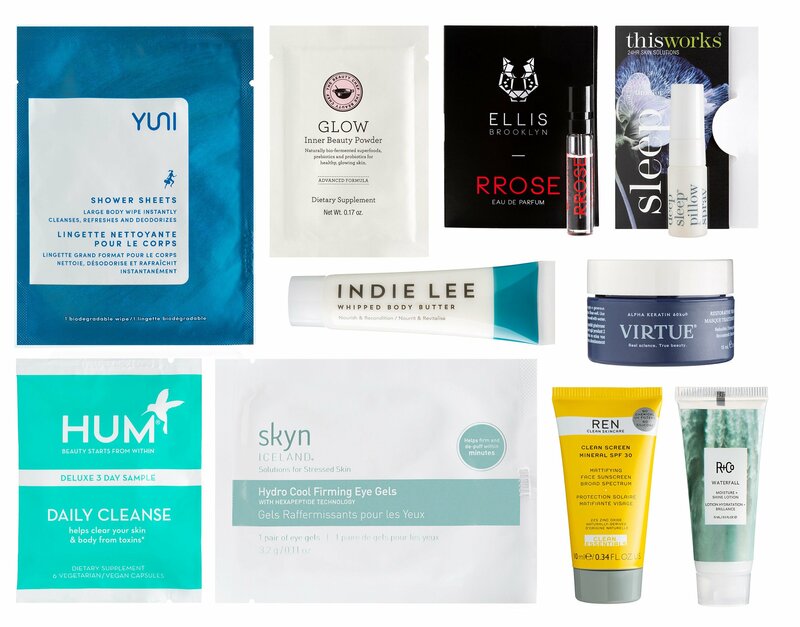 Space NK USA fans, here’s a sneak peek of the free Space NK Spring Gift Bag 2018, this week for IcanGWP readers! This year we’ll have a luxury bag filled with 10+ goodies from Space NK. PLUS, this is the first time that we’ll score an extra step-up gift worth over $300!! Space NK US, the luxury beauty emporium, will soon offer a new Space NK goodies bag for spring 2018. It’s a perfect luxury freebie for shopping for Mother’s Day gifts, only at Space NK USA. Explore the Mother’s Day Gift shop at Space NK and be ready!! This post may contain affiliate links. Read the full disclosure.